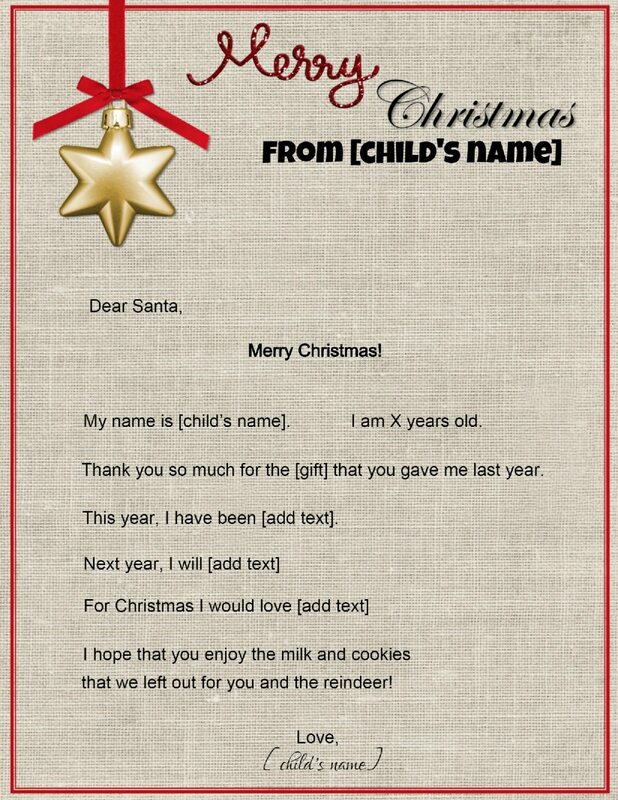 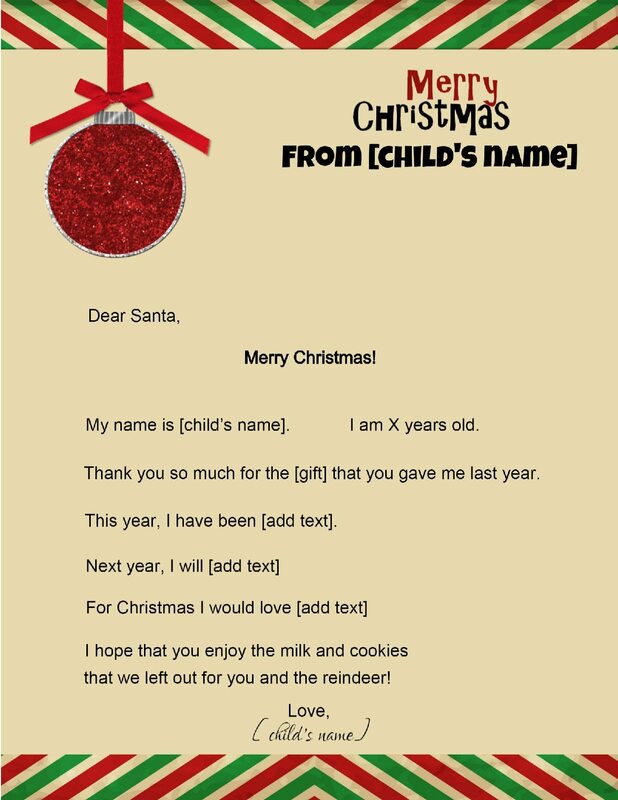 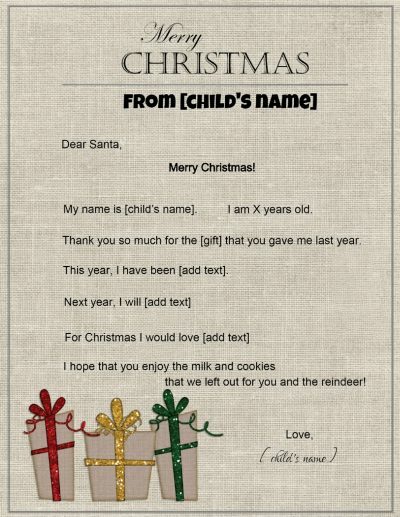 If your child wants to send a letter to Santa then you have come to the right site. 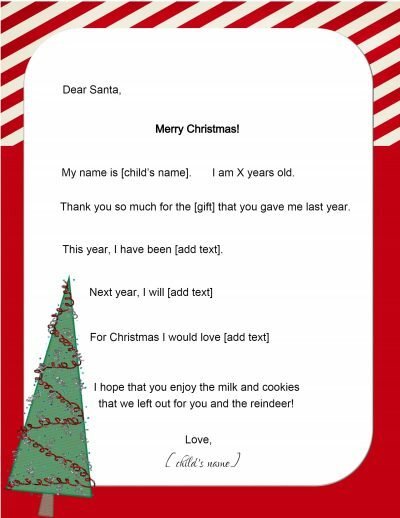 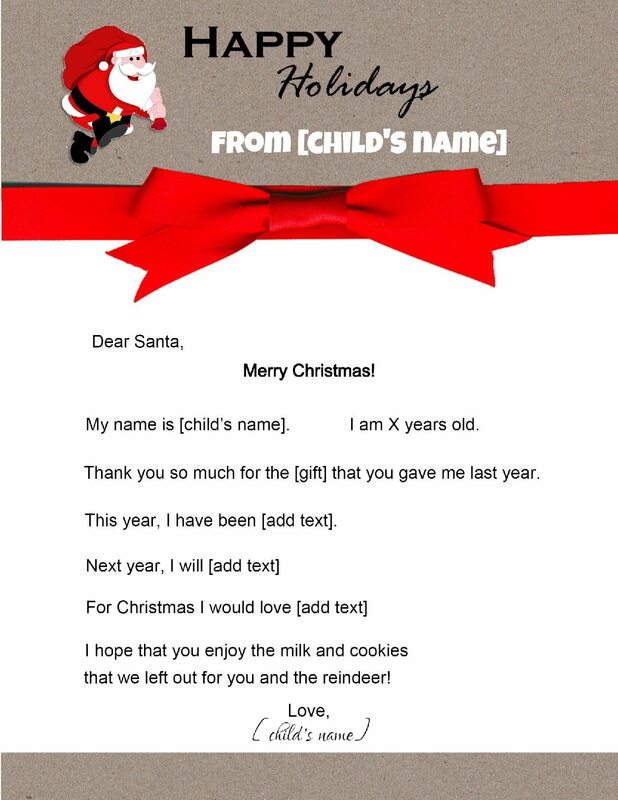 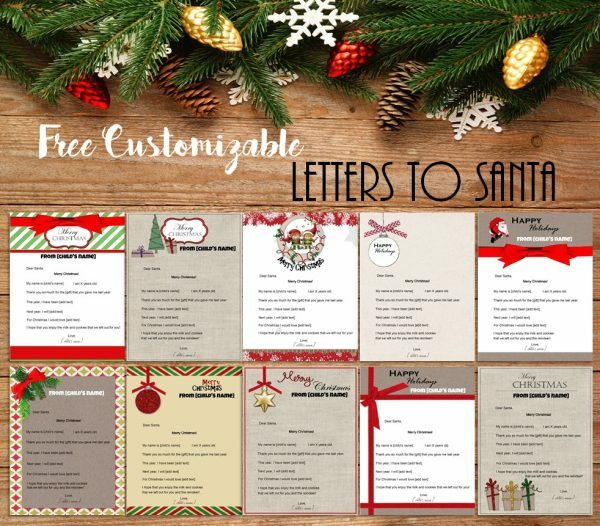 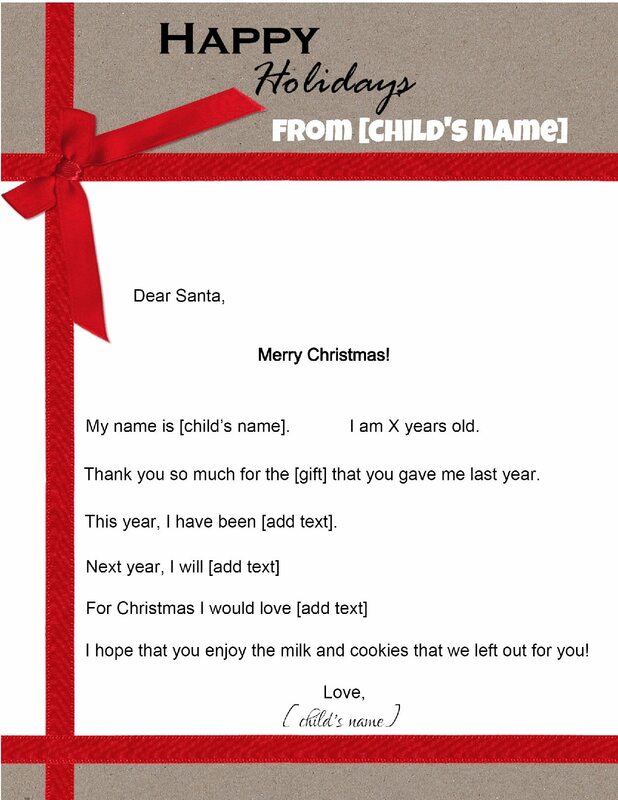 With the help of our free Santa letter template, you can create free letters to Santa that can be personalized, downloaded and printed at home. 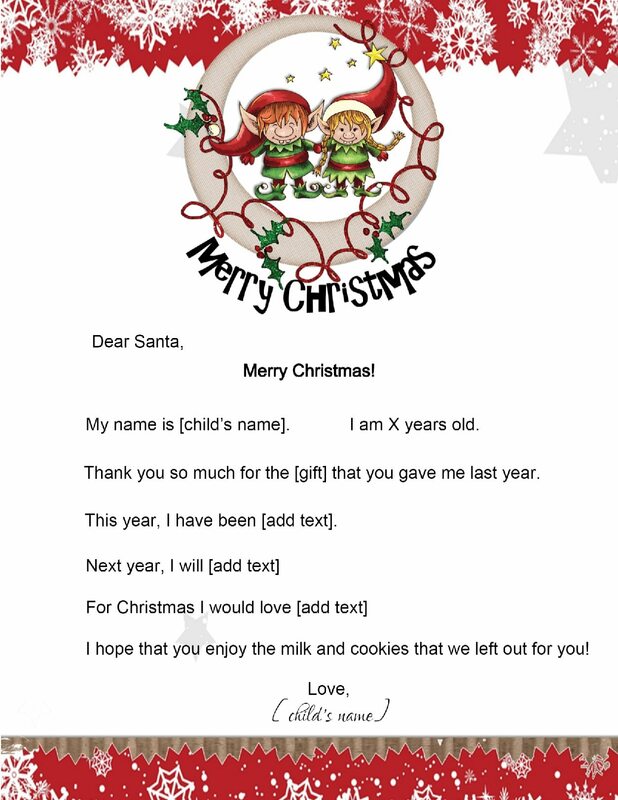 Dear Santa letters are fun to prepare with your child. 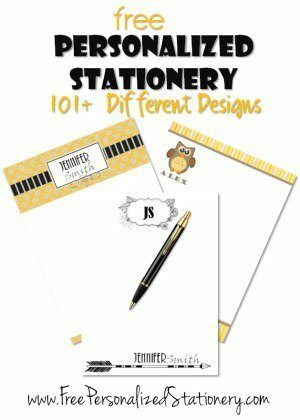 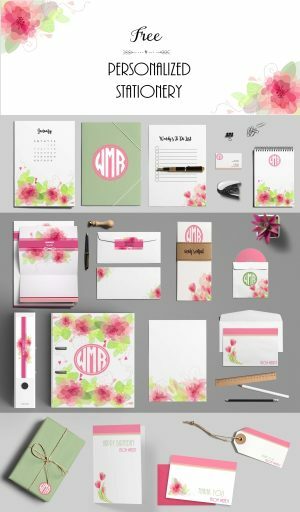 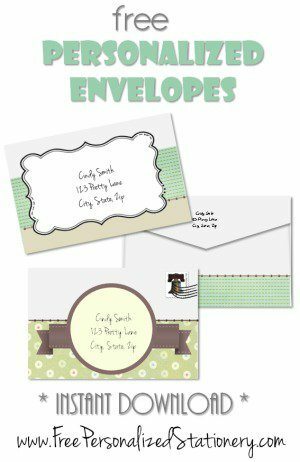 They are really easy to make with the help of our templates. 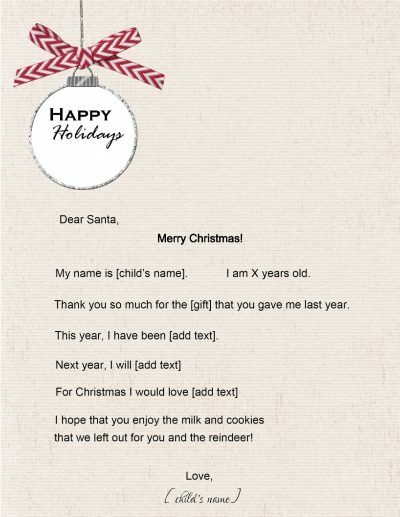 How to write a letter to Santa? 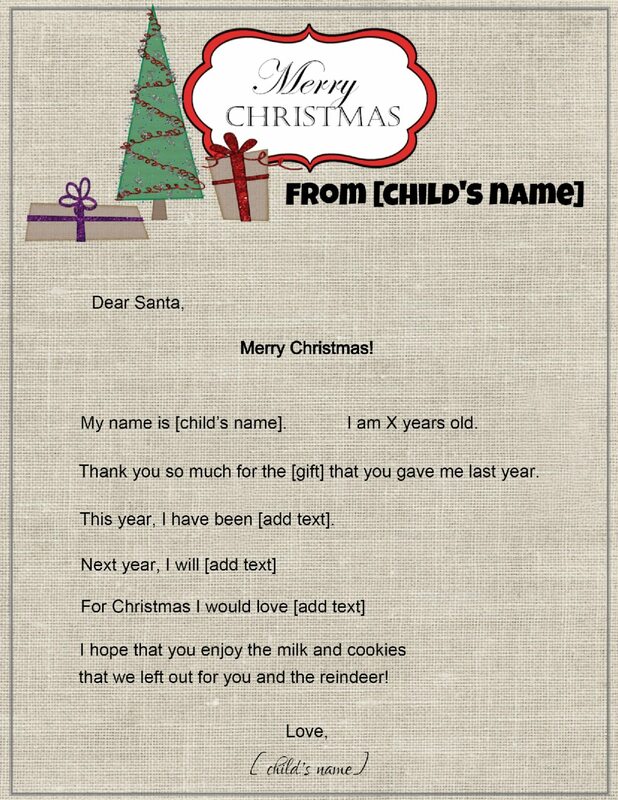 Select a letter to Santa template from the selection above. 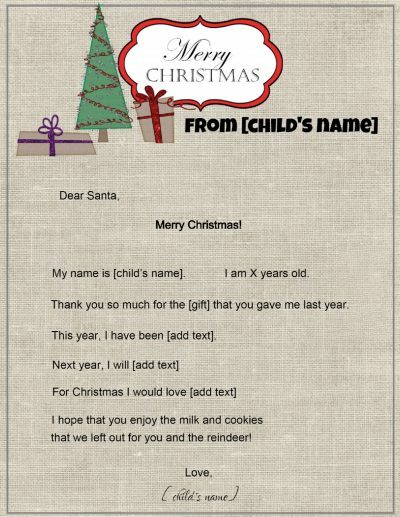 Customize the letter by filling in the missing information. This is marked with [add text]. 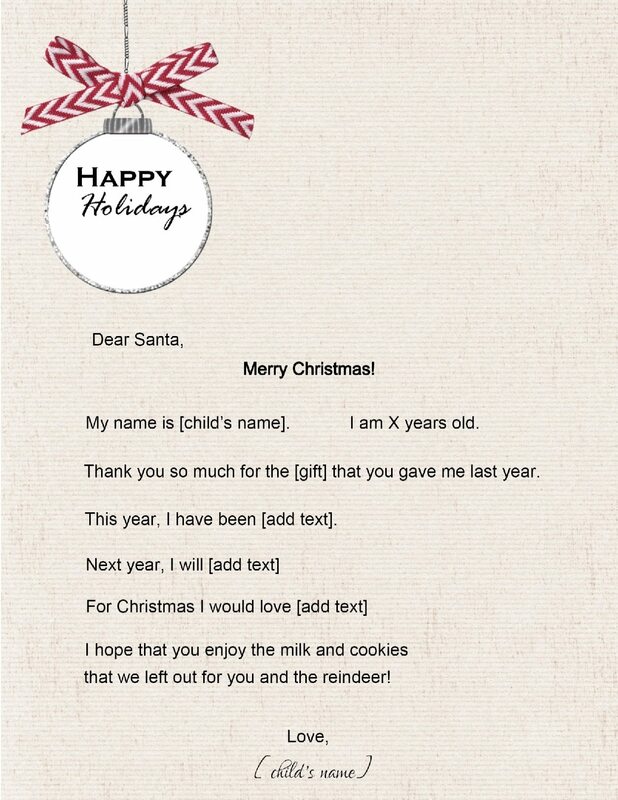 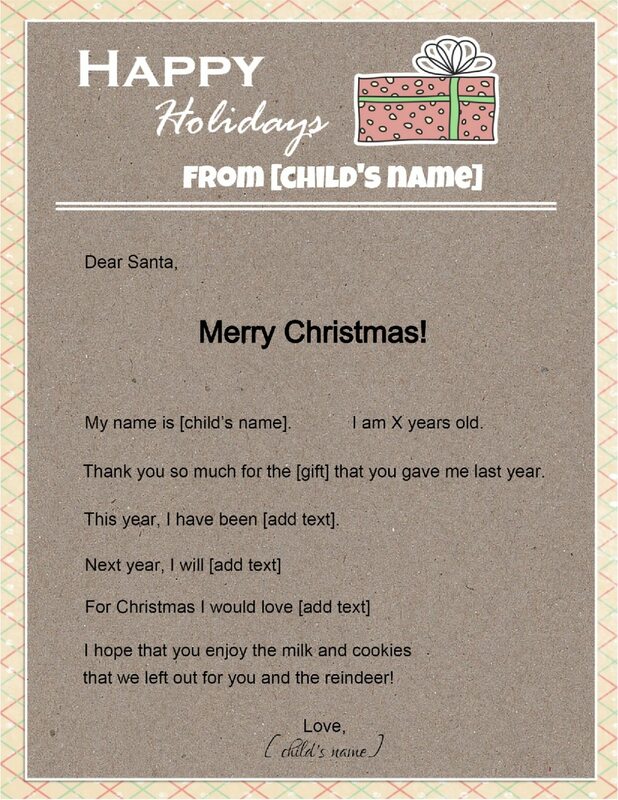 Once complete, your printable letter to Santa will be ready. 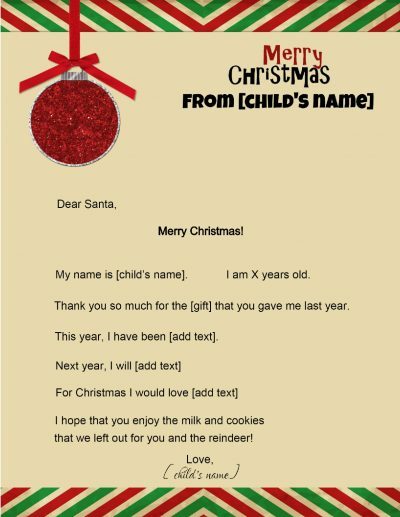 If you want something more authentic that your child prepares without a template then you can print a blank sheet of Christmas letterhead and encourage your child to write in his/her handwriting and in his/her own words. Sometimes you will find a “letters to Santa mailbox” or you can just drop the letter off at your local post office. 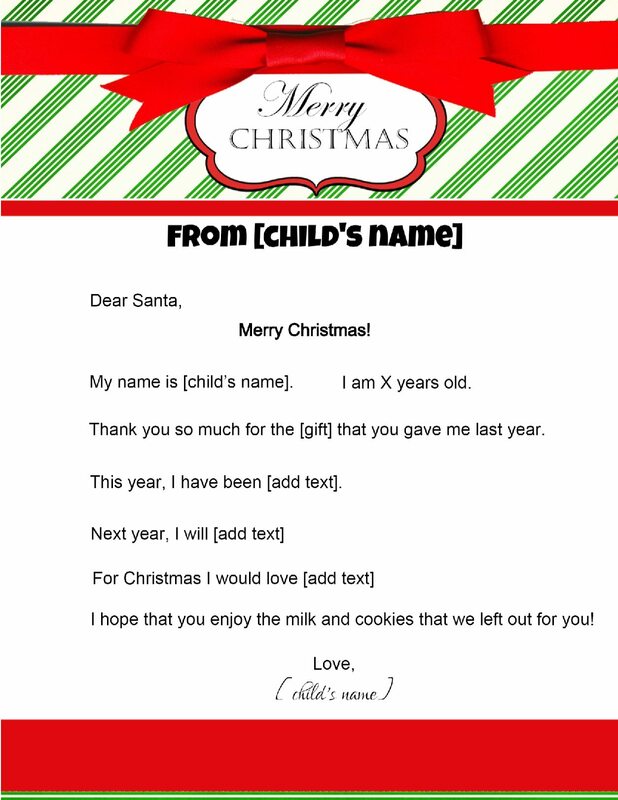 You can also tell your child you sent it and keep it to show her when she is all grown up and no longer believes in Santa. 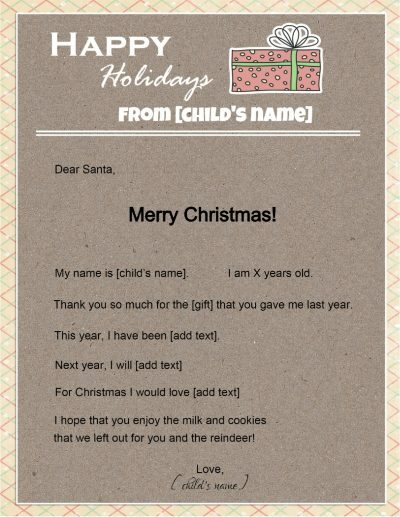 If you want to prepare Dear Santa letters from a few children then just repeat the above process. Each child can use a different template. 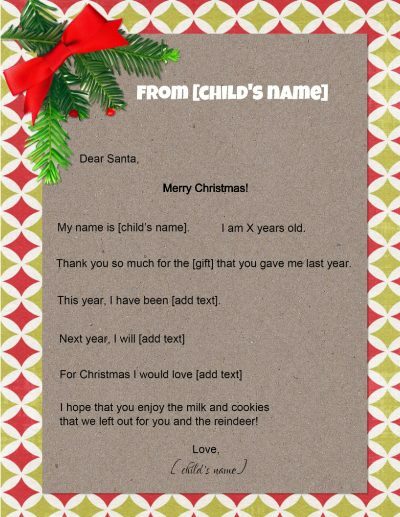 You can put all of the letters in an envelope and pretend to send them together.